Powering a Positive Cultural Shift in Our Nation. The Mission of KindnessEvolution is to more fully incorporate the practice of intentional kindness and care into every aspect of our society. The launch of Our First Unified Initiative. From the 2018 KindnessCollective comes our first Unified Initiative, In solidarity with October National Bullying Prevention Month we launch “No Bullying,Period.” We are stronger together and through collaboration, will exponentially raise awareness and have greater social impact! Everyday, 160,000 kids skip school due to fear of bullying and exclusion. These are challenging and stressful times. The Mission of No Bullying, period. is to bring greater awareness to this crucial issue during the month of October, provide free resources to schools and administrators and help to facilitate involvement and action, in order to bring an end to bullying and ensure that all schools provide a safe and nurturing environment. For School Administrators: Visit our Resource page to receive free downloadable links to easy projects, lesson plans and activities, created by our nation’s kindness organizations, that focus on kindness, inclusivity and no bullying. Please consider incorporating an activity into your 2108-2019 school year programming. Take a Stand for Good! Join our ever-growing list of proud participants! What is GOOD? Qualities such as kindness, courage, wisdom, strength, compassion, gratitude, service, positivity, generosity and love. Our own inherent goodness and that of others. Belief in the good that exists in this world and the desire for more of it. We are tracking, in real time, all the individuals organizations and companies that are standing for the GOOD in the world, so we can create change TOGETHER! *No email required! A unified day of activities celebrating the value and impact of Intentional Kindness. The value of intentional kindness IS part of the camp fabric. On this day, we shine the spotlight and celebrate together. 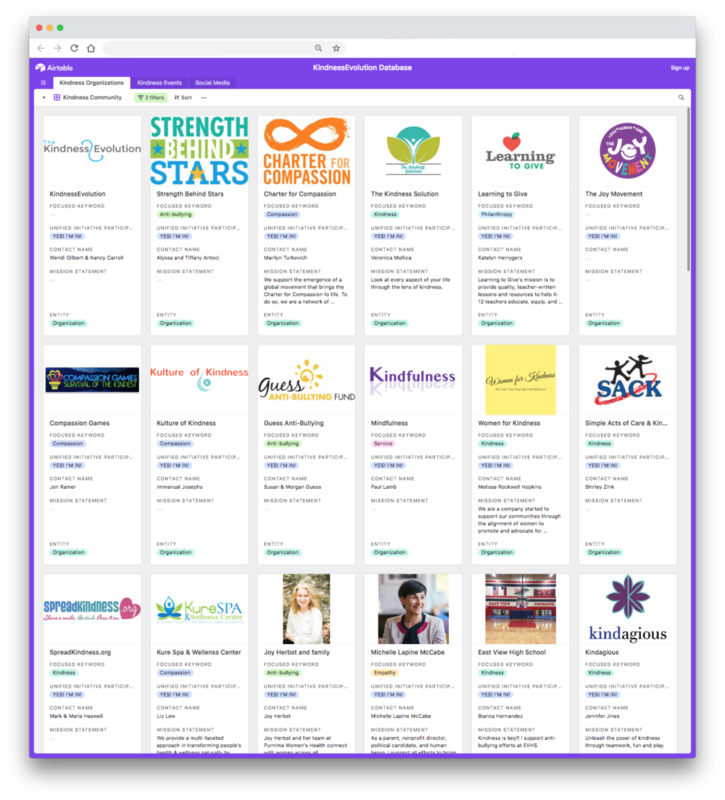 KindnessEvolution is honored to have collaborated with the American Camp Association (ACA), to develop the first-ever CampKindness Day. On July 24th over 350 Camps participated. Read more about it! ACA is a national community of camp professionals that reaches 7.2 Million Youth promoting powerful lessons in community, character-building, skill development, and healthy living and has over 11,000 members (YMCA, Boys Club, Girl Scouts) and over 100K college age counselors. Your support allows us to do this work.